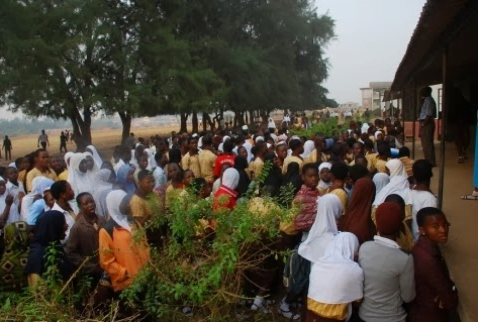 The Joint Admission and Matriculation Board has reacted to allegations that some hijab wearing students were denied entry into the examination hall by its invigilators and supervisors. DAILY POST had gathered that a daughter of a former ace broadcaster, Sulaiman Aledeh, was among several hijab-wearing female students who were denied entry at a JAMB examination center in Lagos on Thursday. maintained that its rule does not prevent female candidates from wearing hijab or other dresses that defines their faith. The Statement reads, ”The attention of the Board was drawn to a story making rounds on social media about an incident concerning a candidate that was allegedly asked to remove her hijab before entering the examination hall. ”The Board would like to state clearly that our rule does not prevent female candidates from wearing hijab or other dresses that defines their faith. ”We would continue to ensure that people exercise their freedom of religion even with the conduct of our examination so far it doesn’t compromise the sanctity of our examination. ”However, at every centre 2 security operatives (one male and one female) are on ground to screen candidates with dignity and respect. All officials were duly briefed on how to.